Construction Netting can come in various forms to meet different safety needs such as Safety Netting Fall protection of Safety Netting for Rails that are often needed on the job site, as well as materials related needs. For the purpose of handling or securing materials, a knitted polyester mesh is a frequently used option. This type of safety netting is designed for strength and integrity, even when under a great deal of pressure. 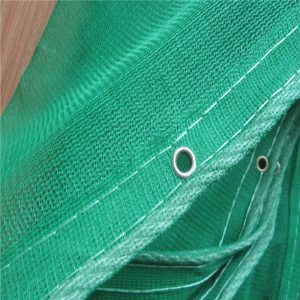 Each opening is 1/4″ by 1/4″, making this construction safety netting ideal for securing or stabilizing heavy goods or pieces of equipment, particularly for the purposes of freight. Construction zones need safety netting all too often. Tarps Now Construction Safety Netting can be essential for ensuring the well-being of workers and by extension the success of a project. Safety nets, for example, can be strung across elevated construction zones with fall hazards. This Construction Safety Netting is quite strong, and is designed to be able to manage a person’s entire body weight. In this way, workers can go about their tasks with less worry of falling to serious injury or death, because the net will catch their fall. For the peace of mind it can grant you and your entire worksite, this netting is a relatively cheap and highly convenient option. Debris netting is another important type of construction safety netting. This material tends to be more finely woven, with smaller holes so as to catch the most falling debris from the worksite as possible. 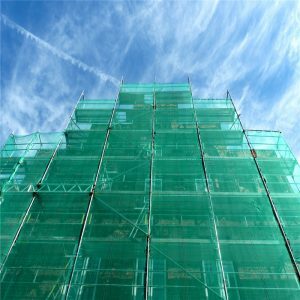 With these safety nets in place, your construction zone is kept relatively tidy and clear of falling hazards. Another option is Tarps Now Fire Retardant Safety Netting. Perfect for the construction site. This is a high quality meeting at a competitively price. Material is reinforced 3.5oz polyethylene threads with a reinforced boarder edge.